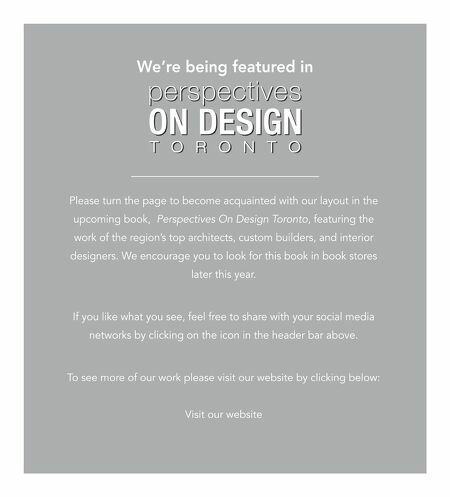 T O R O N T O WELCOME TO eBook by Panache Please turn the page to become acquainted with the layout and format of our newest book series featuring the work of the region's top architects custom builders, and interior designers. Within each professional's profile you will find links to their website, email and a map to their location. 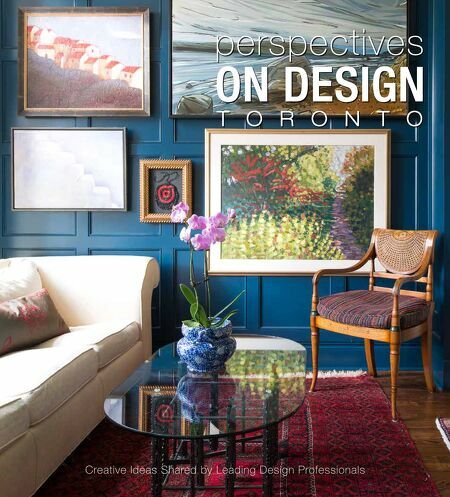 Within the profile look for the icons and click it to take a virtual tour of the featured home. Also look videos featuring projects and interviews of the profiled professional. If you like what you see, feel free to share with your social media networks via the header bar pulldown.